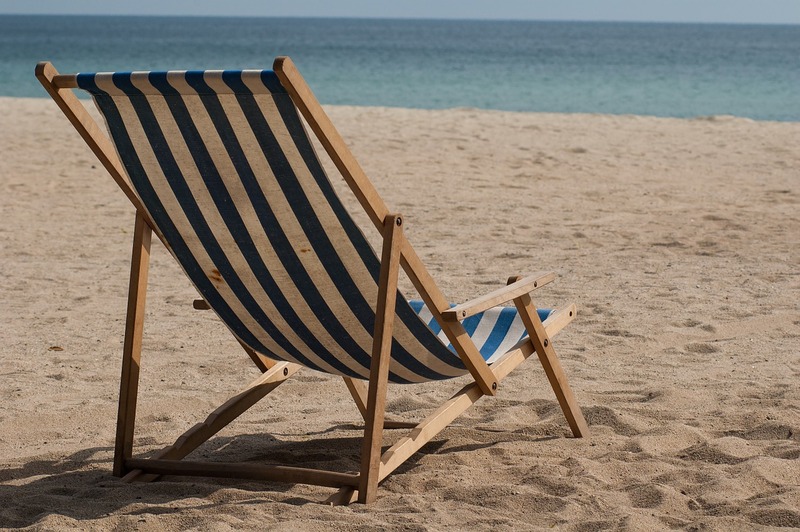 The Literary Leotard: Typewriters and Sand Chairs - Where's the Connection? Typewriters and Sand Chairs - Where's the Connection? The Literary Leotard is back. I haven't stopped writing or teaching exercise classes, or exercising myself, but my blog has been on hiatus for too long. It's time to connect with all of you again and give exercise tips and/or book suggestions - and intertwine the two when my creative juices swell. I love when that happens, like the time I wrote the post Trojan Wars, Achilles and Exercise back in 2013. You can still find it here. Just scroll through my posts. It'll show up. I'm so glad that Blogger keeps all the posts I've written though for how long I don't know. Perpetuity? Wouldn't that be something! How fabulous would it be if my great grandchildren were able to read them someday? It would be in the far, distant future as my grandsons are only eight and three. Maybe there won't even be computers at that time; they'll have gone by the way of the printing press and other machine that are now obsolete. If I was a science fiction writer I might create that story, but that's not me. I prefer settings in the here and now, or in the past, or weaving the two together as I've done in the manuscript I've recently finished which I'm hoping to have published one day. That's a long, twisty, windy road, a topic for another time. For now, let's focus on this blog and how I'm going to connect exercise with my dislike of writing and reading dystopian novels. I have trouble imagining what our future world might be like even sixty or seventy years from now when I might have great grandchildren. Will we have chips in our ears taking the place of cell phones? Will we scroll letters in the air in front of us rather than on paper or typing them on a keyboard, and will those words somehow travel across the atmosphere to the exact person we're writing to somewhere in Europe? 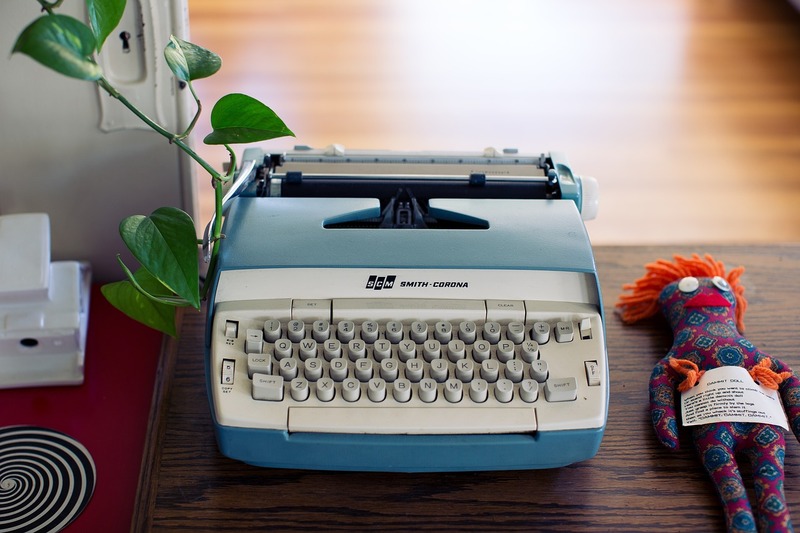 It was a little over sixty years ago that I actually learned to write script, which kids aren't even learning now, and over fifty when I learned to type - and that was on a Smith Corona, a blue one that I loved. Several years after that, I bought an electric typewriter which was so much easier. Lucky for me, I had the feel of those keys, not having to press so damn hard, that when my first job after college at Ziff Davis Publishing required my typing abilities, my fingers flew across the keyboard. Not that I loved typing, especially not tables of numbers for the marketing department. If ZD had been a literary publisher, maybe my dream of writing a novel would have ignited sooner. In order to maintain our independence, get off a chair without any assistance, or even a toilet, we must keep our core strong. So, keep reading, but stand up! Now, move a little bit forward, away from your chair. Ok, now lower yourself, as if you're going to sit back down, BUT DON'T. Let your buttocks and the backs of your thighs ALMOST touch the chair, then stand up again. Do this several times. You'll feel the work in your thighs and buttocks. Remember to keep your abdominals in. Keep those muscles strong. They'll get you out of a sand chair this summer and out of chairs, in general, for years to come no matter how or on what we write.